City Council Opposes "Taylor Swift Tax"
Vice Chairman Marco T. Camacho called it "nothing more than a money grab by the state." The City Council in Newport, Rhode Island, has voted to oppose Gov. Gina Raimondo's proposed luxury tax on second homes valued at more than $1 million and whose owners live mainly out of state. The Newport Daily News reports that Vice Chairman Marco T. Camacho called it "nothing more than a money grab by the state." Mayor Jeanne-Marie Napolitano said she knows the state needs money, but the tax will primarily affect Newport County and South County and she said she has "a problem with that." The resolution calls on state legislators to reject the tax. 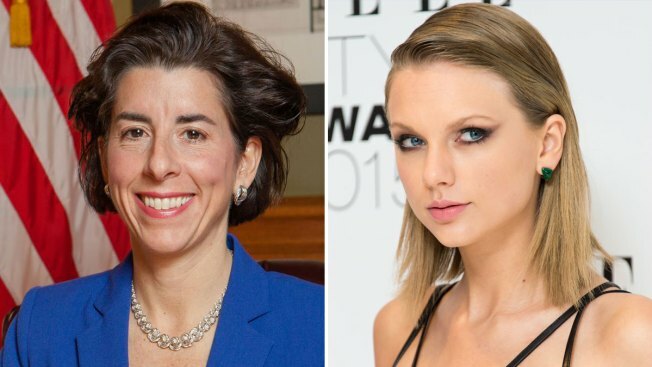 RI Governor Defending "Taylor Swift Tax"
Raimondo has defended the tax that would raise nearly $12 million. She says her proposed tax policies would create jobs. The tax has been called the Taylor Swift tax because the singer owns a beachfront mansion in Westerly.